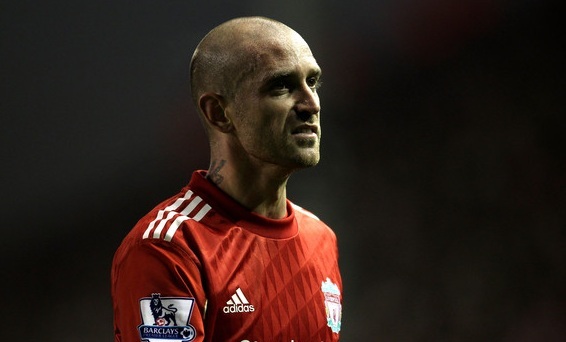 Liverpool are set to propose a remarkable swap deal, if Chelsea are serious in their pursuit of Raul Meireles. The Blues are focussing their efforts this summer on bolstering a midfield that was often left short of creativity and imagination last season and are working hard to recruit Valencia's Juan Mata and Tottenham star Luka Modric. Chelsea have also been linked with Portugal international Meireles, who they believe can add more drive and work-rate to the middle of the park. Despite being recognised as Liverpool's player of the season last year, it is thought Meireles could be sold in order to free up some space and to ease the wage bill. According to sources, the Merseyside club will demand striker Daniel Sturridge in return for Meireles if Chelsea firm up their interest with an offer. Fernando Torres and Didier Drogba are the obvious first-choices up front, while the presence of Nicolas Anelka, Salomon Kalou and £20m new-boy Romelu Lukaku means Sturridge has dropped further down the list; although there remains some doubt as to the future of the French and Ivorian internationals. Liverpool are keen to bring in another striker as they are short of options behind Andy Carroll and Luis Suarez but whether Sturridge will be willing to swap the bench at Chelsea for Anfield is uncertain.